When board members are also investors in a company, their motivation is fairly clear: The better the company performs, the better the return on their investment. But what about non-investor board members? Private companies generally compensate independent directors with cash and/or a small amount of equity, either on a one-time or annual basis (or, sometimes, both). J. Thelander Consulting has the data on non-investor board member compensation for several types of private companies, along with other comp information for private companies and investment firms. 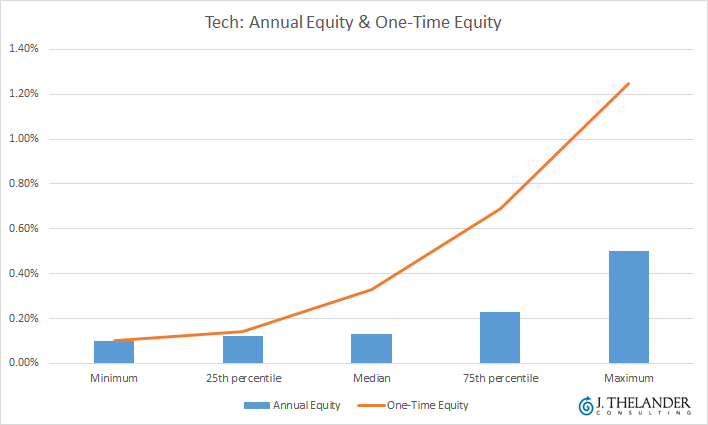 The data comes partly from surveys conducted by Thelander in conjunction with PitchBook. Contact J. Thelander Consulting for more information about its compensation data services. Below is a sample of non-investor board member compensation, divided by type of company. 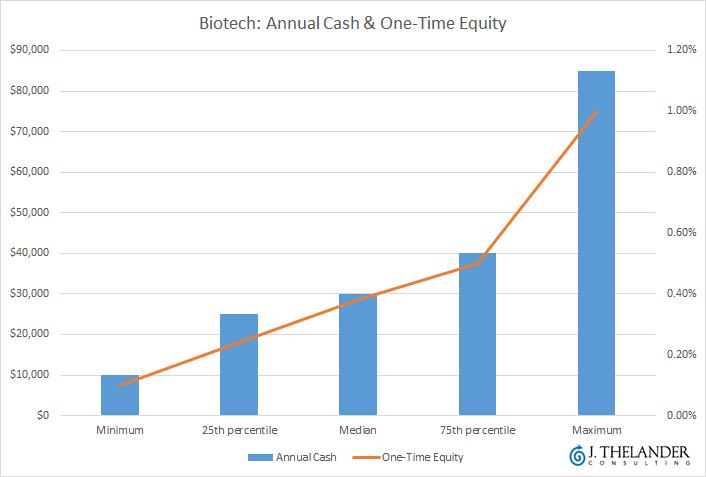 Biotech and medical device companies tend to compensate board members with annual cash and one-time equity, while their tech counterparts more commonly go with both annual and one-time equity, with no annual cash. 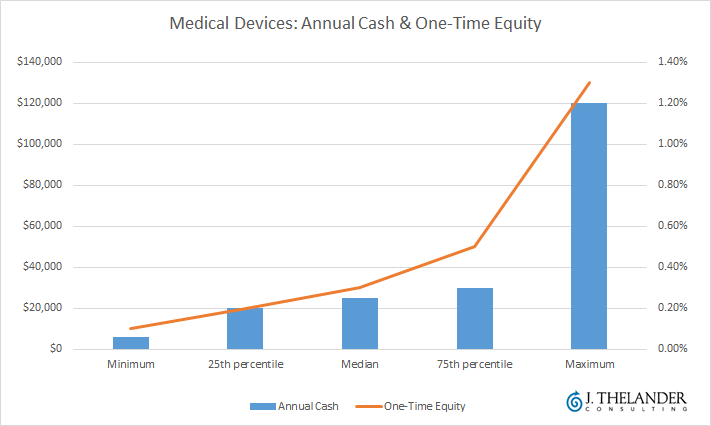 The data shown is representative of each company type's most popular form of compensation. For more content related to private company and investment firm compensation, check out other articles we've published with J. Thelander Consulting. And click here to contact J. Thelander Consulting.